I lived in Shanghai for over five years, 1.5 years which I spent working for LTL Mandarin school. 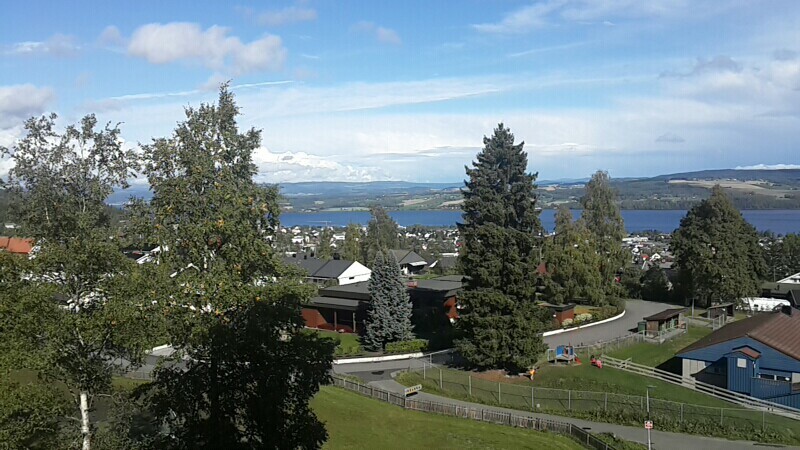 I moved back to my native Norway due to personal reasons recently and here are some things I noticed about life after China. 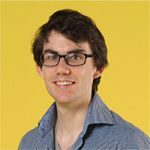 There are many blogs about coming to China, moving to and living in China, and what to expect. But I thought I would write something about moving from China, and going back home. Living for five years in China I’ve missed a lot of things that happened in Norway. It was like living under a rock, events had happened which I missed, new celebrities had broken through, new technology, new shops, new laws, all of which I had missed. It’s easy to do, life is hectic, time flies and you lose touch with things back home that you don’t expect to. It’s very easy to get caught up in the whirlwind of life in China, especially when you have a busy full time job! It took several months to catch up on the most important things which I’ve missed. I was a stranger in my own country. Life after China had hit home! Shanghai – There are probably more people in this photo than in my new hometown! The biggest difference between “then and now” is the sheer size. Having lived in Shanghai, which is the largest city proper in the world (though there are larger urban, or metropolitan areas) moving to almost anywhere else in the world will be large step down. I ended up in a town in Norway with a population of 30,000 people! All the streets seem absolutely deserted, and what counts for rush hour traffic here, well, I’ve had worse traffic in Shanghai at 2am on a Tuesday. With smaller size also comes a reduction in services. Five years in Shanghai, I started taking for granted the sheer amount of restaurants, malls, spas the city had to offer. Not so much here, one cinema, one mall, and I can count all the restaurants on my one human hand. On the flip side though, there is so much space here, open space, personal space, green space. It’s almost a ghost town here. 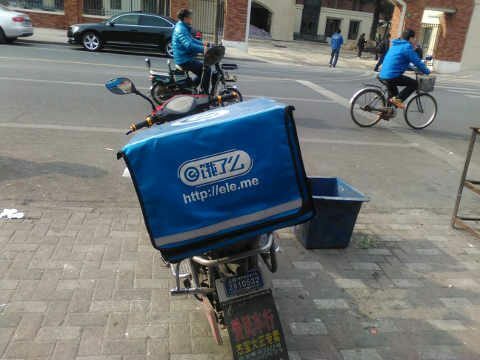 饿了么 bike in Shanghai, just waiting to make its next delivery of nearly free food. If you have a smart phone in China, it is amazing how convenient everything is for you. This again is especially true for the largest cities like Shanghai, Beijing and Guangzhou/Shenzhen. No, here you still have to do things the old fashioned way. 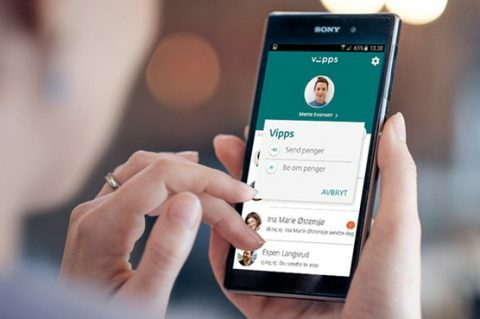 Sure mobile payment is getting more and more popular. You can buy stuff online, but normally it won’t be delivered to your door unless you pay extra. Restaurants are expensive, and ordering delivery even more so. It takes time to get used to not being able to do everything with a swipe of your finger. Social dinner with LTL to demonstrate the ease of making friends. I’m not in the picture as I was the photographer. Shanghai, and Beijing as well, are expat cities. A lot of people come and go there, and that makes it easy to get to know people. If you are new in town you try to make friends and build a network, if you’ve been there for some time you’re still trying to make new friends to replace the ones who left. 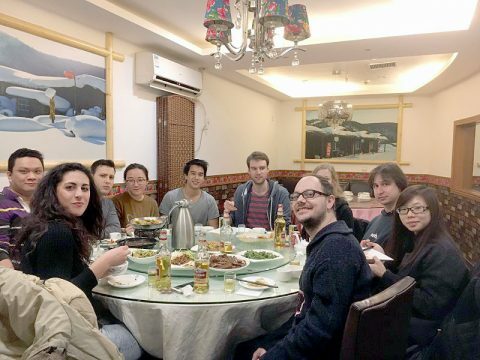 The locals in Shanghai who are interested in the world outside of China are also very open to get to know you, great way to learn the language as well. Here things are more settled, people have been living in this town for years, they know who they need to know, they have their network and their circles, and don’t need to be as open. Not to say that people here aren’t nice, they are, it’s just difficult to break down their defenses and get to know them. Shanghai has got to be one of the best foodie cities in the world. Say what you want about Shanghainese cuisine, I like to say “I’m not a huge fan”, but the city itself has an amazing selection of food. Restaurants offering dishes from every corner of China, from Yunnanese rice noodles to North Eastern beef and potato. From dim sum to whole roasted lamb, spicy, sweet, sour, or salty, Shanghai’s got you covered. If you don’t like Chinese food (as if “Chinese food” is a single distinct cuisine) you can eat gourmet burgers, burritos, sushi, pizza, salads, bagels or whatever else you can think of, yes even borscht. If you want to cook at home, the markets and supermarkets have huge selection of all manners of vegetables, fruit, meat, fish, and spices, so many spices! 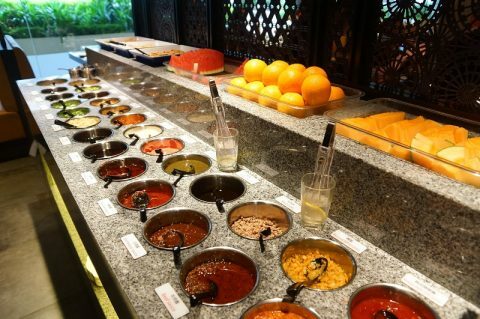 Large selection of sauces and condiments to be used with Chinese hot pot, one of the things I miss the most from China! Here though? Not so much, there is a sushi restaurant, a Chinese restaurant (as if “Chinese food” is a single distinct cuisine), a pizzeria, a steakhouse and a McDonald’s, see? I told you, you could count all the restaurants on one hand! Besides, I don’t think it’s unfair to say that Norwegian cuisine isn’t overly exciting. Sure, the ingredients, the produce is very high quality, especially dairy products, fish and vegetables, but the selection is limited. And the most exciting spice they have here is black pepper. It didn’t help that my wife has roots in Sichuan, she knows spices and is not afraid to use them! Well, it did help as she brought 5kg of spices with her to Norway. Winter coat? Extra socks? Nah, who needs that, let’s load up on dried chilies and sichuan peppers! 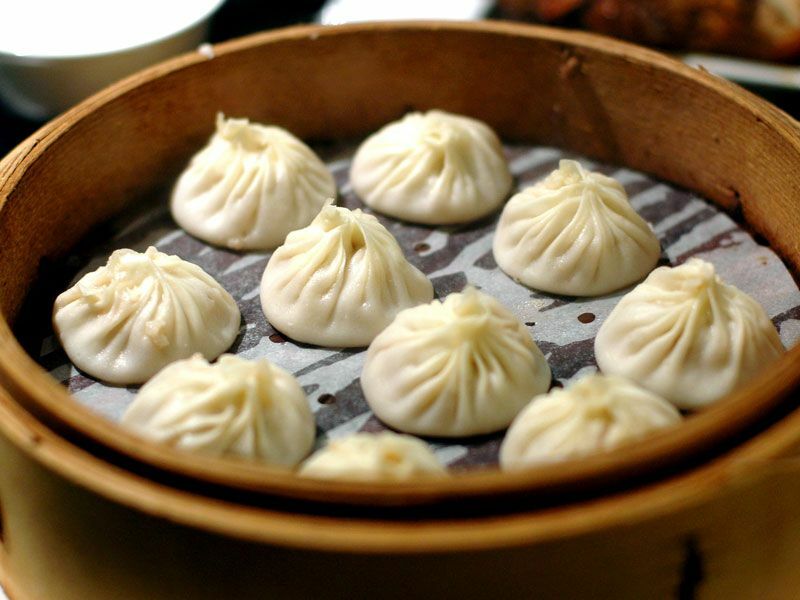 Xiao Long Bao, one of the better aspects of Shanghainese cuisine. 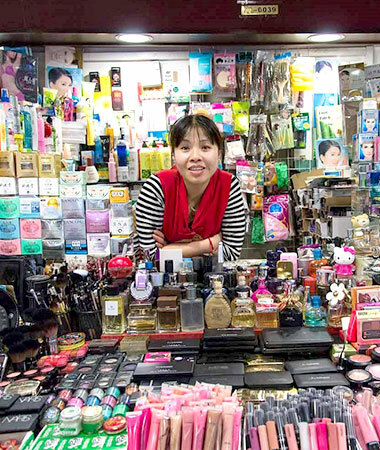 Huge selection and low prices, just don’t forget to haggle for your life! And don’t expect actual brand name items. Shanghai has a reputation as an expensive city. And sure it is expensive compared to rest of China, but if you know what you’re doing, and if you’re careful it is possible to live cheap and comfortable. Food is cheap, buying things can be very cheap if you stay away from brand names, or imported items. Rent is probably the most expensive part of living in Shanghai, but compared to the astronomical prices for buying property in Shanghai, the rent isn’t so bad. Also, if you want to save on rent it is possible to look outside the inner ring road, the prices fall quickly, and you can still live in a relatively convenient location. Not so much in Norway, Norway is just expensive across the board. After many years in China, and in Asia when I went to a supermarket in Norway and saw the prices I just wanted to scream, scream, and never stop. 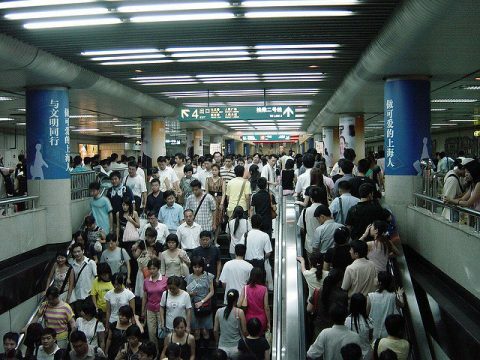 Many people are anxious about the culture shock before moving to China, and they are correct. China is very different from the “western world”, even a place like Shanghai will take some getting used to. However, not many people realize that the shock also works the other way, when you leave. The longer you’ve stayed in China, the bigger the shock. I’m not speaking Chinese everyday anymore (although you can always try to keep up your language skills with online classes). Shanghai is a city that is always “on” there are always lots of people, lots of cars, lots of noise, compared to that, almost any other place will seem like a ghost town, especially a small town in Norway! This is Jocelyn. I accidentally saw your article through organic search, first page, you should be happy hearing that haha. And I didn't realized it was you until I fully read the article to the bottom and saw the author. Wish everything goes well in Norway, also best wishes to Coco. Jan still actually works with LTL in some way so we'll make sure he hears this message.